The notion of “safe space” is one example of a theoretical and pedagogical resource grounded in studies of marginalized experiences that has recently undergone backlash in dominant culture and the academy. In this essay, I offer a defense of safe spaces using the theoretical resources of phenomenology and offer suggestions for moving past the dichotomy of safe versus unsafe space. I argue that safe space should be understood not as static and acontextual, as truly “safe” or “unsafe,” but through the relational work of cultivating such spaces. Furthermore, far from restricting dialogue in the classroom, safe spaces encourage dialogue through requiring students to utilize critical thinking in their exchanges and through supporting marginalized students whose positions and humanity often fail to be recognized in dominant spaces. Jina Fast is a Lecturer in Women's and Gender Studies and Philosophy at West Chester University. Ahmed, S. (2004). The Cultural Politics of Emotion. New York, New York: Routledge. -------- (2006). Queer Phenomenology. Durham, NC: Duke University Press. Alcoff, L. (1998). “Cultural Feminism versus Poststructuralism: The Identity Crisis in Feminist Theory”. Signs 13, 405–36. Barnard, I. (2004). Queer Race: Cultural Interventions in the Racial Politics of Queer Theory. New York, NY: Peter Lang Publishing. Barrett, Betty J. (2010) “Is “Safety” Dangerous? A Critical Examination of the Classroom as Safe Space.” Canadian Journal for the Scholarship of Teaching and Learning. Vol. 1(1). Bell, D. and Valentine, G. (1995) Mapping desire: geographies of sexualities. London: Routledge. Boostrom, R. (1998). “Safe spaces: Reflections on an Educational Metaphor. Journal of Curriculum Studies, Vol. 30, 397–408. Brady, J. and Audrey Denitith. (2001). “Critical Voyages: Postmodern Feminist Pedagogies Liberatory Practice”. Teaching Education. Vol. 12(2). p. 165-176. Buffington, M. and Alice Lei. (2011) “Resistance and Tension in Feminist Teaching.” Visual Arts Research. Vol. 37(2) p. 1-13. Butler, J. (1993). Bodies That Matter. New York, NY: Routledge. ---------. (1997). Excitable Speech: A Politics of the Performative. New York, NY: Routledge. Cohen. C. (1997). “Punks, Bulldaggers, and Welfare Queens: The Radical Potential of Queer Politics”. GLQ: A Journal of Lesbian and Gay Studies. Vol. 3 (4), p. 437-475. Foucault, M. (1980). Power/Knowledge: Selected Interviews and Other Writings. New York, NY: Random House Books. Fox, C. (2010). “(Un)Covering Normalized Gender and Race Subjectivities in LGBT “Safe Spaces”.” Feminist Studies. Vol. 36(3) p. 629-649. Gutmann, A. (1994). Multiculturalism and The Politics of Recognition. Princeton, N.J.: Princeton University Press. Jagose, A. Queer Theory. New York, NY: New York University Press. Halberstam, J. (2005). In a Queer Time and Place. New York: NYU Press. Hubbard, P.( 2008). “Here, There, Everywhere: The Ubiquitous Geographies ofHeteronormativity”. Geography Compass 10, 1–19. Koskela, H., (1997). “Bold Walk and Breakings: Women's Spatial Confidence versus Fear of Violence”. Gender, Place and Culture. Vol. 4(3), p. 301-319. ------- (1999). “Gendered Exclusions: Women's Fear of Violence and Changing Relations to Space”. Geograska Annaler, series B.
Ludlow, J. (2004). 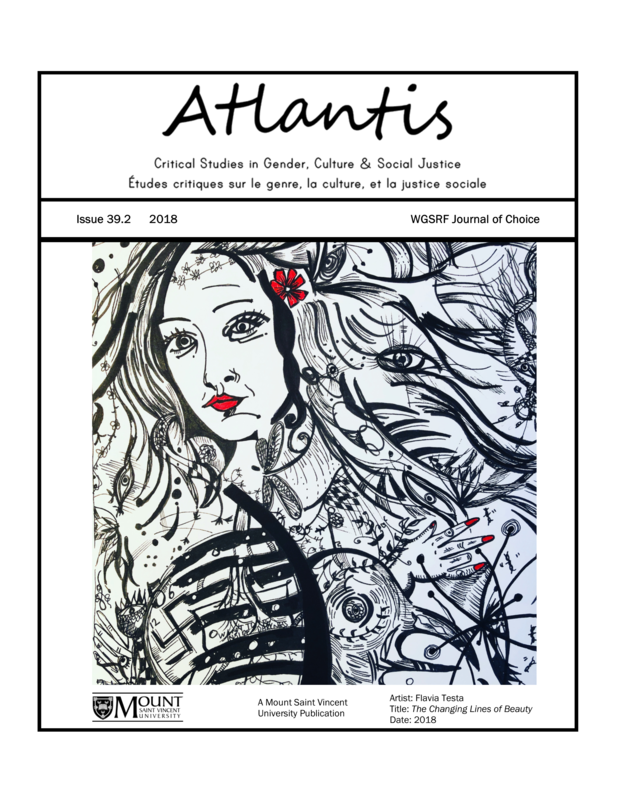 ‘From Safe Space to Contested Space in the Feminist Classroom”. Transformations: The Journal of Inclusive Scholarship and Pedagogy, 15(1), 40–56. Mahraj, K. (2010). “Dis/locating the Margins: Gloria Anzaldua and Dynamic Feminist Learning”. Feminist Teacher. Vol 21(1) p. 1-20. Marini, Z. (2009). “The Thin Line between Civility and Incivility: Fostering Reflection and Self-awareness to Create a Civil Learning Community. Collected Essays on Teaching and Learning, Vol. 2, 61–67. Perez, H. (2015). A Taste for Brown Bodies: Gay Modernity and Cosmopolitan Desire. New York, NY: NYU Press. Puar, J.K. (2006). “Mapping US Homonormativities”. Gender, Place and Culture Vol. 13, p. 67–88. Revilla, A. (2010) “Raza Womyn—Making it Safe to Be Queer: Student Organization as Retention Tools in Higher Education. Black Women, Gender & Families. Vol. 4(1) p. 37-62. Stengel, B. and Lisa Weems. (2010) “Questioning Safe Spaces: An Introduction”. Studies in Philosophy and Education. Vol. 29(6), p. 505-507. Stengel, B. (2010). “The Complex Case of Fear and Safe Space”. Studies in Philosophy and Education. Vol. 29 (6), p. 523-540. Toynton, R. (2006). “Invisible Other: Understanding Safe Spaces for Queer Learners and Teachers in Adult Education”. Studies in the Education of Adults, Vol. 38, 178–194. Valentine, G., (1989). The Geography of Women's Fear. Area 21 (4). ------- (1990). “Women's Fear and the Design of Public Space”. Built Environment Vol. 16 (4). ------- (1992). “Images of Danger: Women's Sources of Information About the Spatial Distribution of Male Violence”. Area 24, p. 22- 29. ------- (2000). “Sticks and Stones May Break My Bones’: A Personal Geography of Harassment”. Journal of Lesbian Studies. Vol. 4, p. 81–112. -------- (2007). “Theorizing and Researching Intersectionality: A Challenge for Feminist Geography”. The Professional Geographer Vol. 59, p. 1–21. Weems, L. (2010). “From Home to Camp: Theorizing the Space of Safety. Studies in Philosophy and Education. Vol. 29(6), p. 557-566.